Determining your business structure at the start for the short, medium and long term, means no costly charges to change it later. To own and operate a business in New Zealand, you need to choose a business structure that suits your needs and management style. Each business structure option will affect your tax position, the life of the business, and the legal liabilities for you and others involved. Business structure examples include: Company, Trust, or Equity Partnership. Make decisions around operating structures based on your progression goals. Ask yourself, is it better to be a herd owning sharemilker, a variable order sharemilker or a contract milker? Make decisions here. Key people and their roles in your business - advisors, trustees and people with a stake in your business. Budgeting is crucial to identify if plans are achievable and profitable. If you know your numbers, you can take control of the business direction and determine the viability of borrowing or ventures. The more you focus on the numbers, the easier it gets. Understand and start planning your budgeting here along with a range of easy budgeting tools and templates to suit all business situations here. Successful businesses implement policies and procedures setting out how work is to be completed and discuss these with staff regularly, allowing people to know how things are done. A policy is a guiding principle used to explain the "way things are done around here". A procedure is a series of steps to be followed to accomplish an end result. A rule is a statement about what to do, or not to do, in a specific situation. Sustainability: land management, water use, nutrient/fertiliser use, effluent. A Farm Policy Manual contains all farm policies and procedures. It helps ensure employees understand the way you want to run your business. Our template includes a title, why the policy or procedure is needed or useful; whom it affects, when it is to be followed, what the policy or procedure is, and a space for comments, here. Tip: Use diagrams and pictures to clearly communicate a message. Keep it simple - use language everyone can understand. Policies and procedures are there to clarify expectations and assist knowledge, not to burden people with extra responsibilities. Involve the team - they will have some great ideas, it will save you time, and most importantly, it will help everyone feel part of the process meaning people are more likely to live by the outcomes. A cash management system means managing all income and sales, purchases and expenses relating to your business. It's where you record all your payments and receipts by cheque, credit card, EFTPOS, cash or direct credit so you can efficiently manage your farm’s day-to-day finances, and forecast cashflow going into the next business year. Many people keep their cashbook electronically using an excel spreadsheet but many software packages are available. Meeting your tax obligations is a necessary part of sound financial management. Compliance means understanding the regulations your farming business will need to abide by. Developing plans (including health and safety, staff management and environmental plans) will have financial implications. Work with a Chartered Accountant or tax adviser to ensure you understand and are prepared to meet your legal obligations. Different tax types will apply to your business. How do I prepare my GST returns? Talk to your Chartered Accountant or an IRD tax adviser to learn your options for preparing your GST returns. Accounting software is available for GST reports, and IRD have a range of guides, tools and free workshops to help you with GST and filing returns. KiwiSaver is a compulsory part of managing your farm staff payroll. You are legally required to provide business cover for yourself and any employees if you are self-employed, a non-payee shareholder, or an employer in New Zealand. ACC cover can only be purchased from ACC. As well as providing 24/7 no-fault personal injury cover, ACC plays an important role in the prevention of injury and supporting injured workers to recover and quickly return to work. Both business and personal insurance is a crucial part of setting up your farm business. Different companies or brokers can help you get the right insurance cover to minimise, and manage risks your business might face. By sorting insurance correctly from the start, you are not at a loss later - if issues arise. You will probably have a number of legal contracts and obligations to put in place when setting up a business. These vary depending on the business structure. By understanding which contracts and associated documents you will need and what they say, you will know your legal obligations and be well prepared to meet them. Legal advice should always come through a practicing qualified lawyer or qualified rural professional. Have you considered all the different aspects of regulatory requirements? A productive office space and accurate record keeping is a key part of good business and financial management. The legal requirement for keeping accurate records for tax and employment purposes is seven years. Electronic records are acceptable. There are some specific rules around cloud computing and tax records. 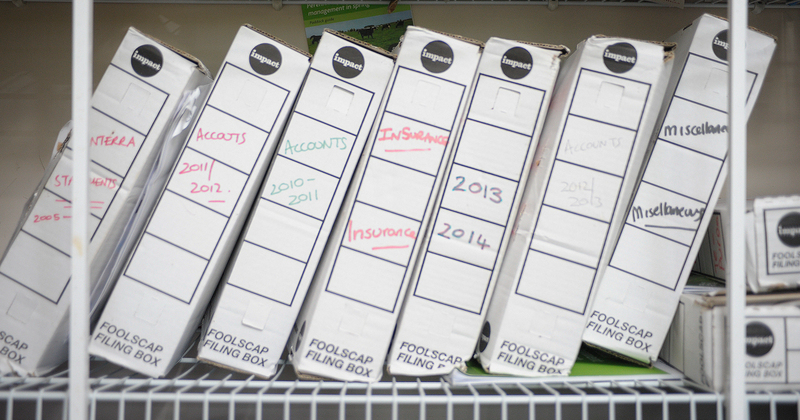 How will you set up your record keeping and filing systems? 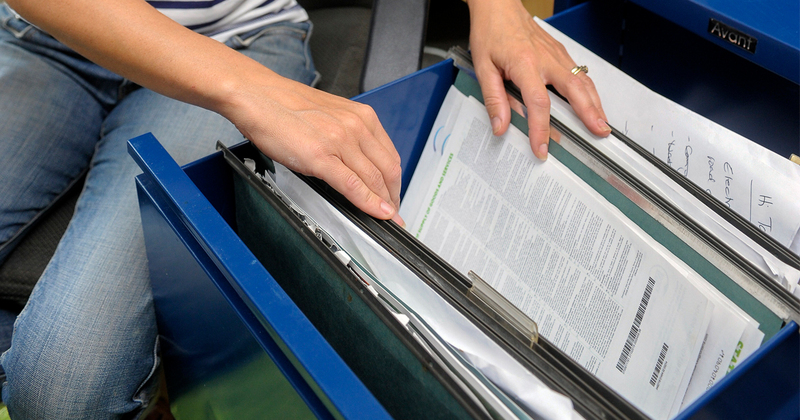 Do you have documents you need frequently close to hand and in an easily managed system? How will you manage incoming and outgoing correspondence? Would setting up a calendar of events (weekly/monthly) with key payment times, activities and reporting timelines on it help? How much time will you spend in your office? How many people will need to use it? What activities will you need to perform? Do you have access to a bathroom? The best location. Inside in its own dedicated space, or within another room of your home? External to your house or close to the farm dairy? Does it have reliable internet access? Does it have good ventilation and heating, adequate lighting? Does it have all the equipment you need like computers and printers? Is it set up in a safe and appealing way? Are all cords safely dealt with? Successful farmers say they could not have got where they are without the advice and assistance of others. Technical experts, advisers from outside your farm gate, or experienced farmers can be some of the people to ask for advice. Who do you have ‘in your corner’ supporting you to be successful? Top performing farmers seek advice and ask for help? The areas of your business you use rural professionals? If you are getting the assistance you need? How to identify a current need and ask for help? If if you don’t, who is best to help? Ask a farmer you trust who they would use. You too may be able to help others. Sometimes that means not waiting to be asked, but offering to lend an ear - if they want it. Who can you talk to about business advice and support? Asking for support to improve your finances and business shows awareness of your business needs and your motivation to advance and learn. What will happen to your business and assets? Know what is involved and start your succession plan.